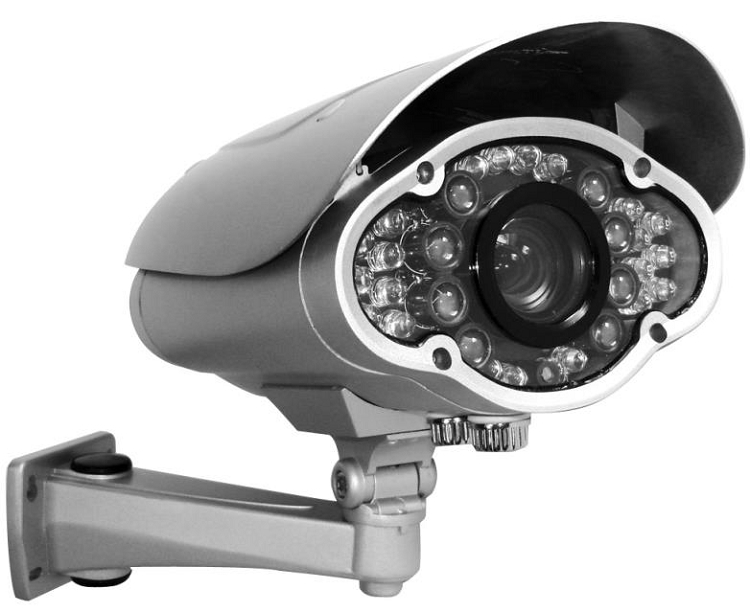 In order to ensure tight security both near and distant with clear image a special kind of security camera is necessary. The IR60H7EVF meets the purpose fully. With a combination of 8 super bright and 22 large LEDs the camera ensures both wide angle and long range illumination up to 240 feet. Easily adjustable 5~50mm varifocal lens gives you the freedom to view all the right angles. Since the lens is completely separated from the infrared array there is no chance of reflection. Consequently it allows you to get a crystal clear B/W images at night. Swift transfer from color images to B/W pictures with Effio DSP technology. Operating temperature ranges between -4°F to 122°F making it suitable for outdoor and indoor use. In order to prevent the camera from adverse weather an IP65 housing is integrated. Installation is very easy and clean with a pan and tilt adjustable concealed cable bracket.